"I'm telling ya Harrington. Mama goes to this quilt festival thing every year. Haven't you noticed her running around gathering her paint swatches, making lists and talking to herself about fabrics? "Well yeah, Sugie, but she kinda does that all the time!" "Look, all I'm saying is we are free to do whatever we want for the next couple of days while Daddy is in charge. He will let us get away with anything we want, especially if we throw in some 'cuteness' when he comes up to Bunnyville to check on us." "So basically... you're telling me that Daddy is just as much a slacker as we are when Mama's away. I knew I liked Daddy." I can't wait to share photos from the show! See ya Monday! Ya'll, I have been spoiled again!!!! Look what I got yesterday! Needless to say, I have been spoiled again!!! I have the perfect place for it and the perfect candle too. What do ya think? Thanks sooooooooo much Annette! I love it! Happy bunny dance again. :) Hop over and visit Annette and her dog, Jindi. Tell her "the spoiled Shell said hi!" Check this out! 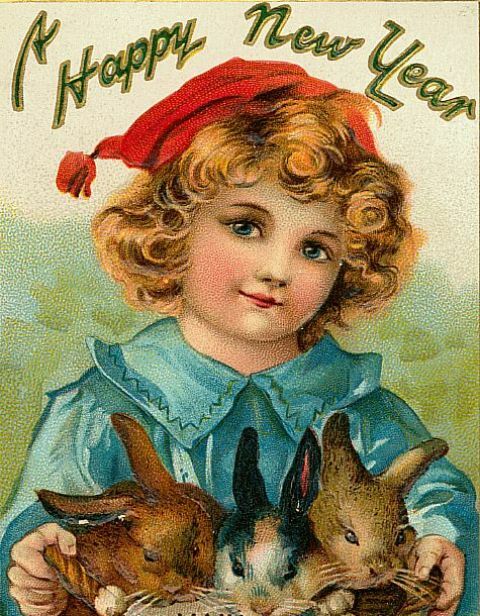 I am loving this Year of the Rabbit! Fun! Fun! Fun! 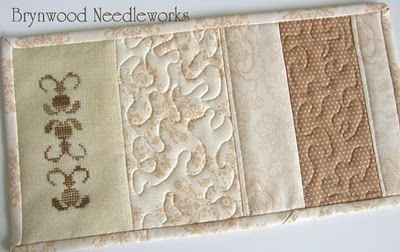 My dear friend, Donna of Brynwood Needleworks, surprised me with this beautiful mug mat! 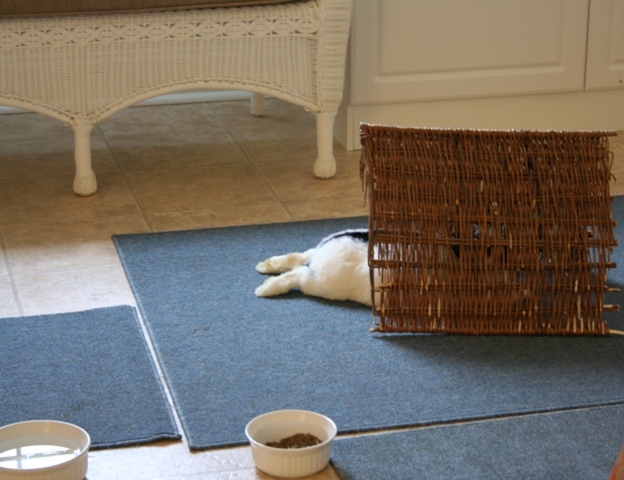 I have the perfect table for it in Bunnyville. I looooove it Donna!! Spoiled!! 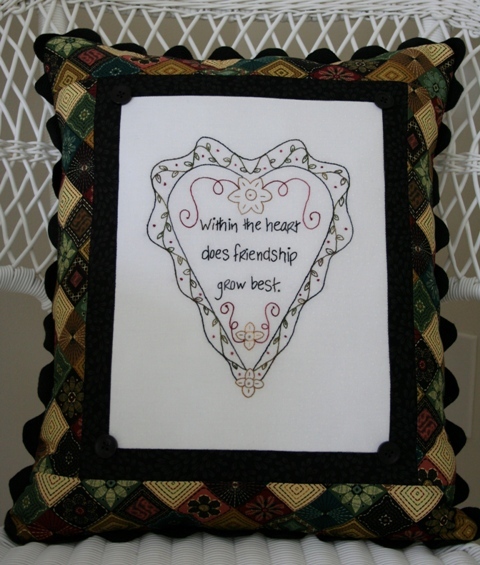 Donna has designed cross stitch charts for many years and even owned at one time! She said I inspired her to create these Reflecting Rabbits. I think they are just so cute! Ya want to know the best part???? You can click HERE and hop over and get the chart FREE from her! Yep! Free!! There are also other fun tutorials on her page to check out. 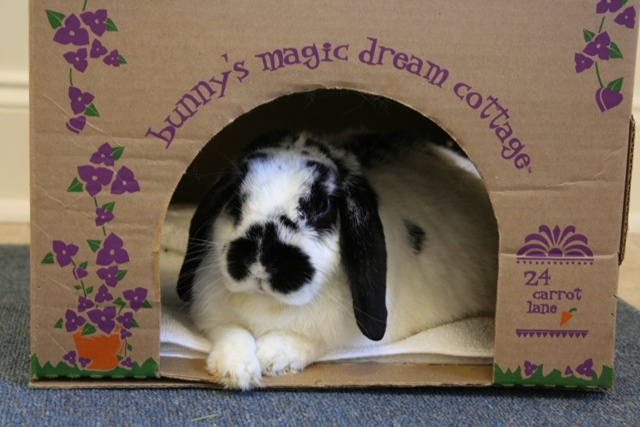 Be sure and visit her blog too and tell her Shell and the bunnies said, "we're spoiled!" Alright already, who's turn is it to clean the office restrooms and who forgot to lift the darn seat again? Uhhh.....well....ummm...oh yeah, that. Must have been the Dust Bunnies. I am sooooooooo demanding a raise! 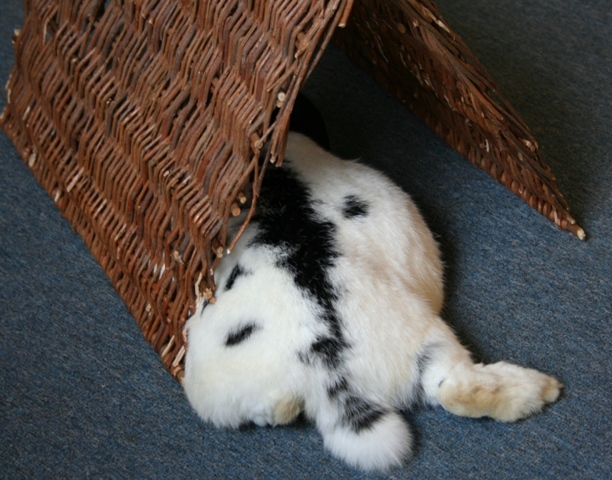 Happy Friday everybun! Have fun, laugh lots and smile big! Within the Heart and Winner! Did you think I got lost or forgot? It has been a very busy morning since I hit the ground hopp'in at 5:30. Whew! Well, are you ready for my new pattern???? I'm so happy with how it turned out. Like I said the other day, I don't make too many "holiday specific" designs as it is more fun to make each day special in some way. 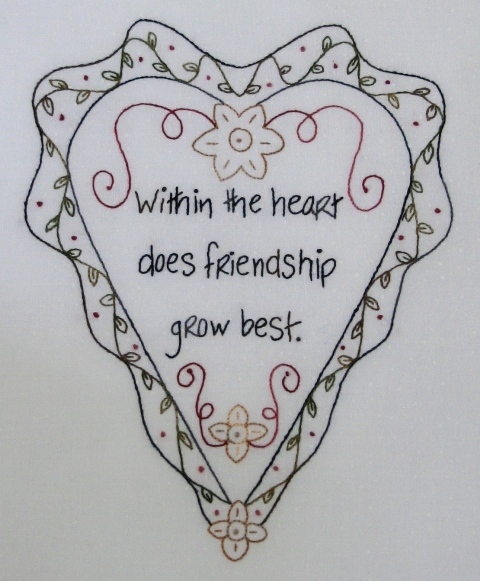 "Within the Heart" is a little reminder to me of how much I cherish my friends and the friendships I have had for a very long time. How they started out small, but over the years grew into strong and true friendships because we always gave from our hearts. I made mine into a pillow because I have the perfect spot for it, which I'll show ya later. Yes, there is color being added to my world. ;) What do ya think? You can also make this into a wallhanging too. 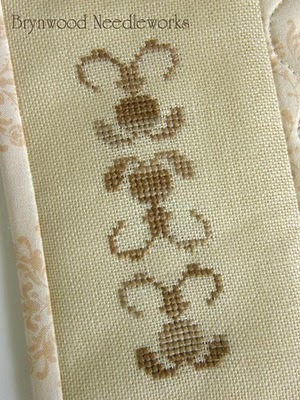 I have the pattern and 4 floss kits available in my Shop. Now onto the giveaway! 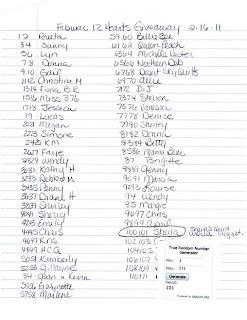 Congratulations to Sheila of Sheila's Quilt World in Canada! 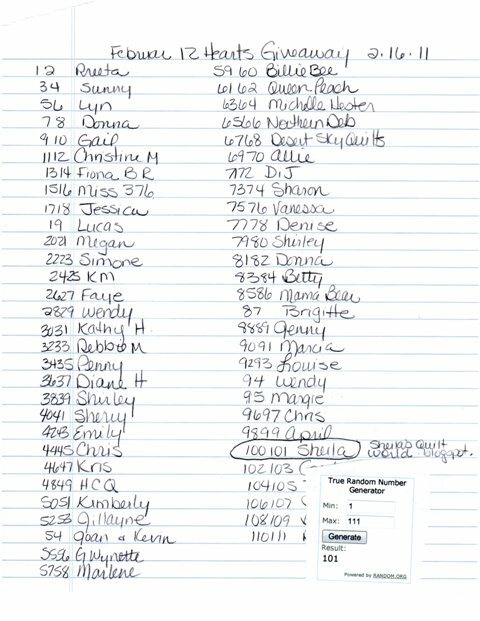 Send me your address Sheila and I'll get your books on their way! I'm so glad ya'll are having as much fun with this project as I am! Makes me soooooooooo happy! Well, gotta get back to work. 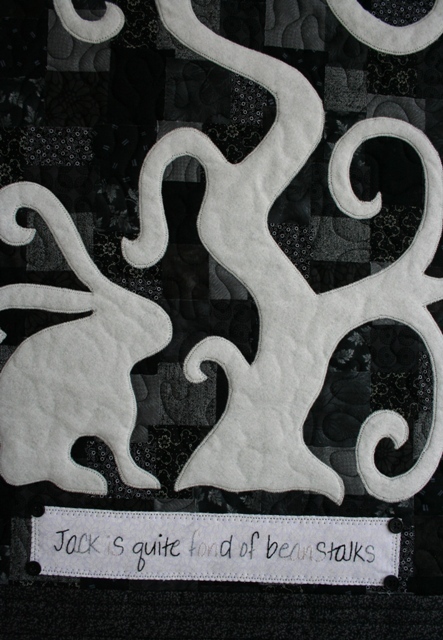 I had a fabulous quilt idea hop in my head this morning and I need to go color. Ooooooooo fun! I do love to color! Have a wonderful and magical day. Your friendship is cherished! So I truly had good intentions to release my new pattern today. But instead I can only share a sneaky peeky with you because I got totally sidetracked by an antique show that was in town, homemade cookies from a friend (dried cherries and white chocolate! hello!!) 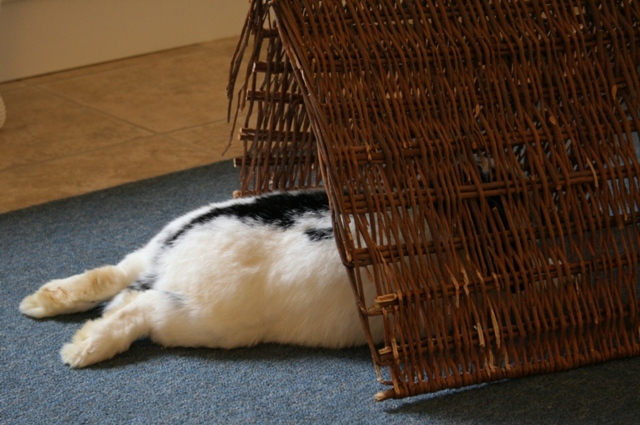 and cleaning up the dust bunnies in Bunnyville that were threatening a hostile take over! Oy! I know many of you that have been reading my blog for a while are about to pass out over the "color" (Emily). Well hang on to your hats gang. There's lots more coming your way. Of course, it will still have the "shell" style, but it will be a little more on the folky and fun side. Happy Valentines Day! Don't forget to register for the giveaway on Wednesday too! Leave a comment on the post below for your chance to win! 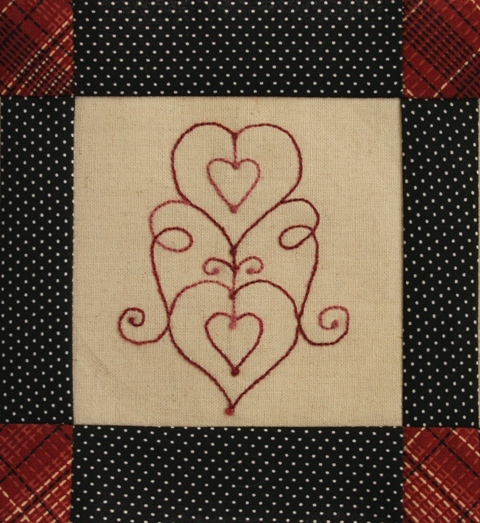 12 of Hearts February Block and a Giveaway!! This is the block for February! I loooooooooove this one! Hop over to my Shop to get your pattern. I have already made two extra's! These are so fast to make! I have 10 floss kits left, so be sure to get one while the getting is good! Twenty two kits have already been sold! I also added my sashing strips between the blocks. The measurements are in my shop. Ok, so let's get on to the giveaway!!! I do loooooooooove books and love to share them with others. So I decided to give away not one, but two books this month!! Books by the editors of Victoria Magazine! the other has lots of fabulous inspiration! To enter the giveaway all you have to do is leave a comment on this post. If you are an "official follower" one that is officially signed up on the right of my blog roll, you get two chances! Easy as that! I will pick the winner on Wednesday, February 16th using the random number generator! Sugie, will you remind everyone that tomorrow is the next free block in the 12 of Hearts BOM? Sugie, will you tell them that there will be another cool giveaway? How about telling them to have a fun Friday? Hmmm...well alrighty then! Apparently Harrington has been giving Sugie lessons on the fine art of being a lazy employee. So, I will remind all of you to hop back and visit with us tomorrow for the next block (I looooooove this one!) and a fun giveaway too! So you remember me saying that this year was going to be all about art and homemade things? That I was going to purchase art and things I loved? Well in December, I got an email with a special offer for prints in the Mary Engelbreit store. I have always adored Mary Engelbreit, not only for her delightful art, but for her sense of humor as well. She's the one that said she suffered from OCDD, "obsessive compulsive decorating disorder!" I will never forget that and still laugh like crazy when I think about how I suffer from it too! The web special said that for a limited time, if you purchased a print, which is poster size by the way, Mary Engelbreit would personally sign it!!!! Oh...my...gosh!! Hello! I hopped right over to see if my favorite print was still available. I knew if it was still there it was meant to be and I would buy it for sure. Guess what? It was! Happy bunny dance! This is my most favorite one. I actually carried a 5"x7" of this in my day planner for years. Mary use to put these small pieces in her magazine, Home Companion, as gifts for the reader. After losing my job last year, I sat for many hours thinking and looking at stuff just like this little gal. When I got the print in the mail, I almost fell over with excitement to see that I got number 500 of 500!! You can see Mary's signature below the books! I took it to a professional framer to have it matted and framed properly. It now hangs in Bunnyville with other treasured art pieces and every day I am reminded that it really is never to late to be what you might have been. I truly miss Home Companion magazine. There was no other magazine as special and unique. I would sit and read it cover to cover. I saved the last three issues. I wish I still had all my copies. Have a fun day and do something special for yourself. You're worth it! Inspiration on a Monday. I'm loving this! It's still so cold outside and rainy, which makes it more cold. 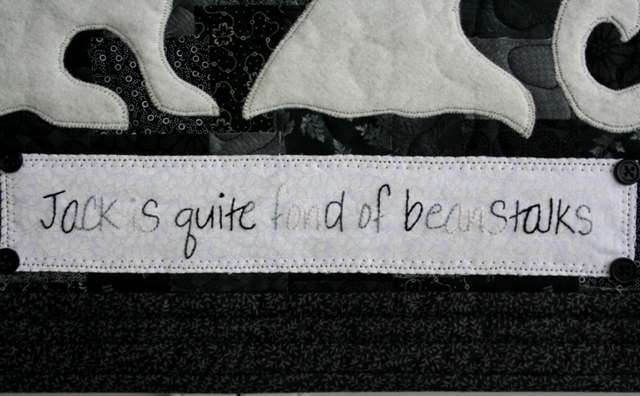 On days like this I like to have lots of tea or coffee, my cozy quilt and spend some time getting inspired. My favorite way to do that is to "window shop" with the computer and take little decorating quizzes. Even though I pretty much know my style, it's fun to see how it evolves over the years. 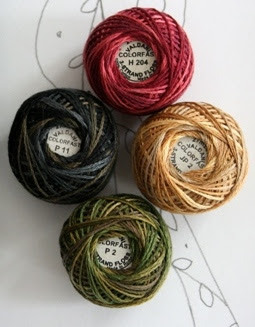 Doing this gives me lots of inspiration for creating new quilting and stitchery designs. So on Saturday, I hopped over to Ethan Allen and took their "what's my style" quiz. It said I liked the Loft style and particularly the Hayloft Style. "The Hayloft style is modern country, down-to-earth but smart and stylish. It is practical yet chic, black and white blanced with earth tones. It's perfect for a rustic space or city apartment. Fabulous without pretense. Then I saw this bed!!!! Helloooooooooo fabulous without pretense!! Love the curves, love the color and love the quilt! Ding! Ding! Ding! We have a winner on the inspiration chart! 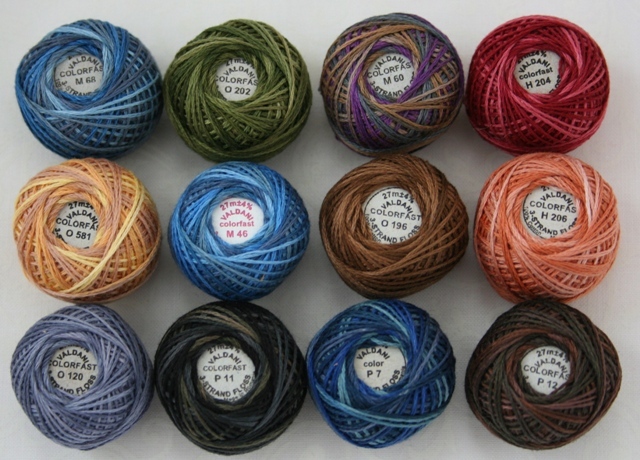 So then I got to thinking about the 12 of Hearts stitchery we are working on (hop over and get the free pattern from my Shop) and how the colors will tie in perfectly to this look! Love it! Then, after I stopped laughing from all your fantastic comments from Friday's post, I decided to add some fabric strips around Charlie's (I've now named him that) neck. 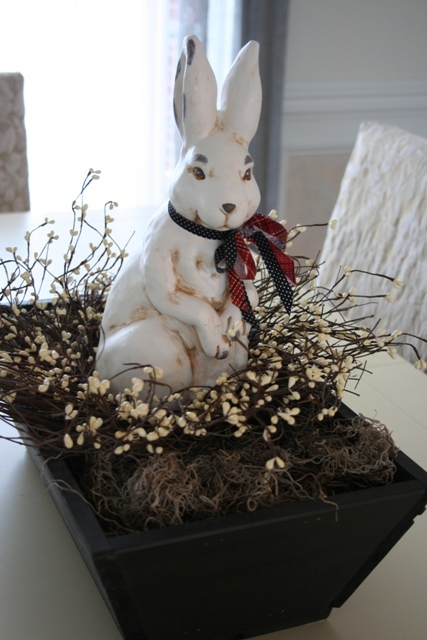 Then I found this willow berry wreath thing and I put that in the bucket for him to sit on. I like all the texture, pattern and contrast with the black bucket. 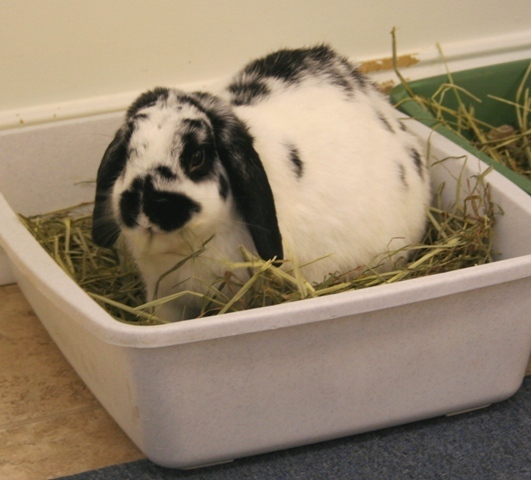 (again, I call all containers buckets) I think Charlie looks like he is sitting in a briar patch. Love it! I will be doing follow up posts on Charlie based on some of the hilarious comments ya'll left for me. That was so much fun! 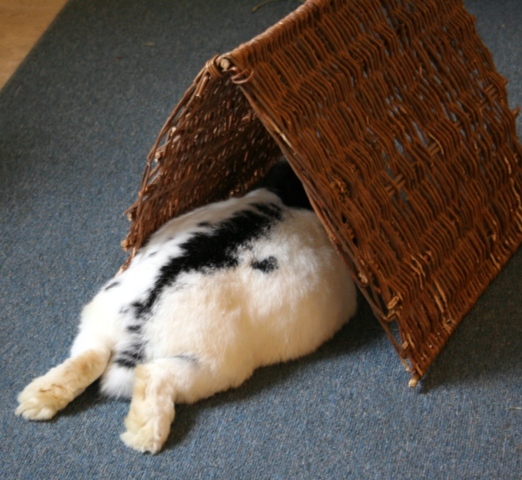 Until then, I'm going up to Bunnyville to design a new pattern to debut on Valentines Day. I'm so inspired! Have a fun and magical week and find something to inspire you! Oh and if you take that style quiz, I would love to know what your style is! Happy Friday!! Ok...so is it wrong??? Your opinion please.. So like I've had this cutie bunny for quite a while. I love his face, his color and the way he stands. Since my giant yard sale back in October, I have gradually been doing some redecorating. I'm adding in black and some pops of color. I know, I know, don't pass out that "Miss lover of white" is adding color. I'll post more on that later. So anyway, I purchased this really cool planter box at Lowes on clearance. I've been wanting to display something on my long, dining room table. I put some spanish moss in the box as I love the grey with the black against the color of my table and chairs. I also love the texture. That's as far as it got for two months as I wasn't sure what else I wanted to put in it. Then the other day, I got a wild hare to put the cutie bunny in it! The decorator in me loved the color combination, the texture combination and the "cottage" feel of it. BUT THEN!!! it hit me!!! Oh my gosh!!! Is the real reason I think this looks so good is because of my subconscious bunny mama self??? "Mama, how about some privacy!" Is it because I spend so much time looking at the bunnies in the Poo Poo Bucket and telling them how good they are for going poo poo in the Poo Poo Bucket!!! "Sugie go poo poo in the poo poo bucket? What a good girl. Harrington those are good poo poo's you are such a good boy!" Oh my gosh!!! Bunny parents know that you inspect poo all the time to tell if your bunny feels good or not. Ok...so you tell me. 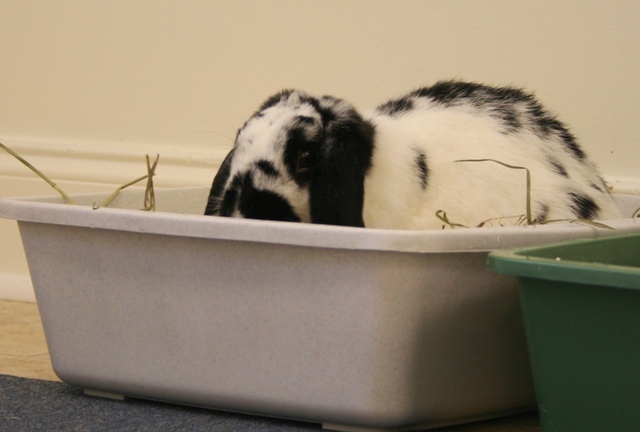 Is it totally wrong then to have a bunny using the Poo Poo Bucket on your dining room table???? Is it offensive to dinner guests? When I asked David's opinion of my new display he replied, "looks like a bun in a Poo Poo Bucket." Is he just as bad as me??? We are totally crazy aren't we? By the way, we call all kinds of containers buckets. Not sure why, we just do. Again...we're weird. "Yep, you're weird alright and you're definately NOT getting on HGTV with this one. Just say'in." It's official! 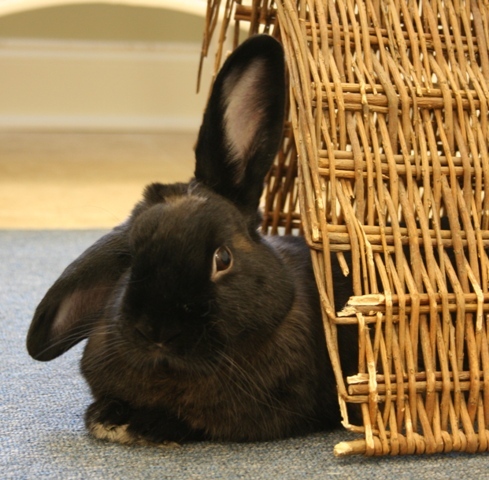 Today is the Chinese New Year and it's the Year of the Rabbit! We will be doing a lot of celebrating around Bunnyville. 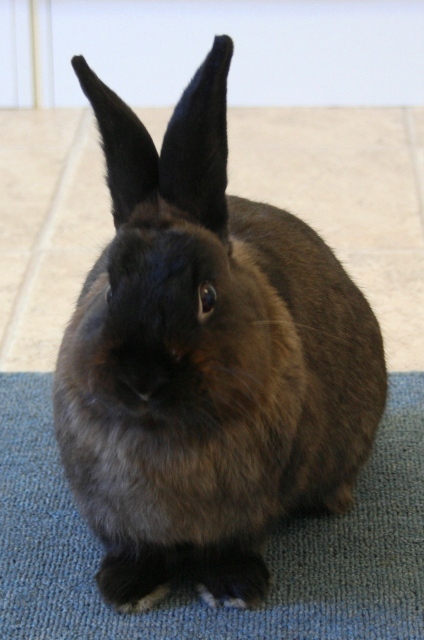 Banana chips and veggie treats for everybun! 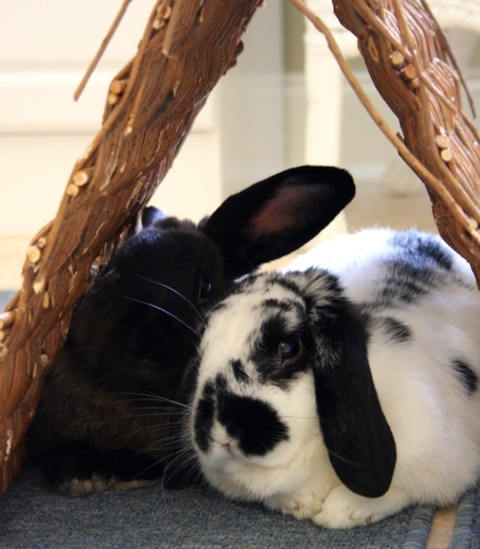 Harrington and Sugie are looking forward to being extra spoiled this year. (like they aren't spoiled enough already!) But hey, who can resist fuzzy cuteness? Not me! To kick off our celebration we have put the Bunny Love Pillow kits on Sale in our SHOP! The kits were originally $38 and now they are $31. Remember, we are happy to ship anywhere in the world! The kit includes everything you need (less the polyfil) to create this fun pillow. We even give you the embroidery needle! 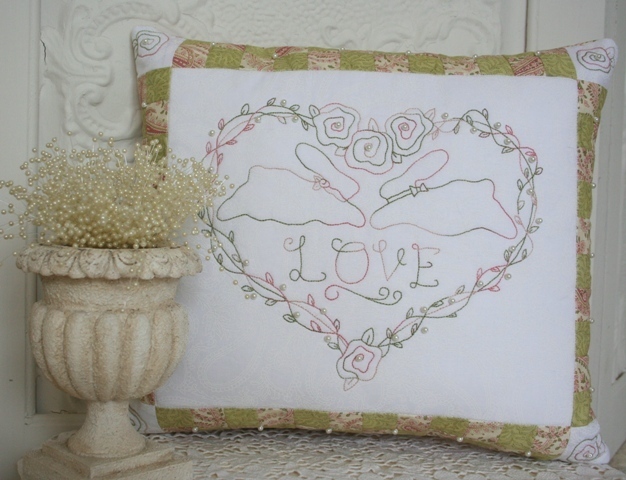 This pillow is perfect to celebrate Easter, give as a wedding gift or make for that special bunny loving friend. It's also fast to make so you can get on to other projects. We've got lots of celebrating coming your way so stay tuned! Happy Year of the Rabbit everybun! White Rabbit! White Rabbit! Jack is here! Jack is quite fond of beanstalks! Indeed he is! Bunnies are, after all, herbivores! Welcome to the first White Rabbit, White Rabbit! (see previous post if you're wondering). 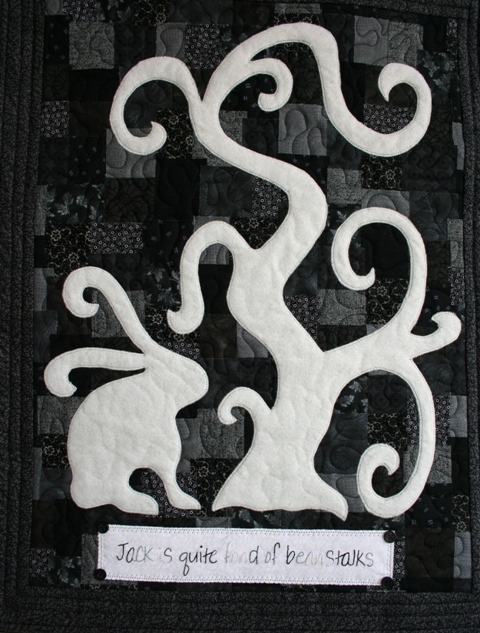 This is my latest art quilt in the series for 2011, the year of the rabbit. I do love books, storytelling, rabbits, stitching and quilting and this is the second piece in my Folk Art Fusion technique. One day I would love to travel around and teach this technique to others. Wouldn't that be fun!! 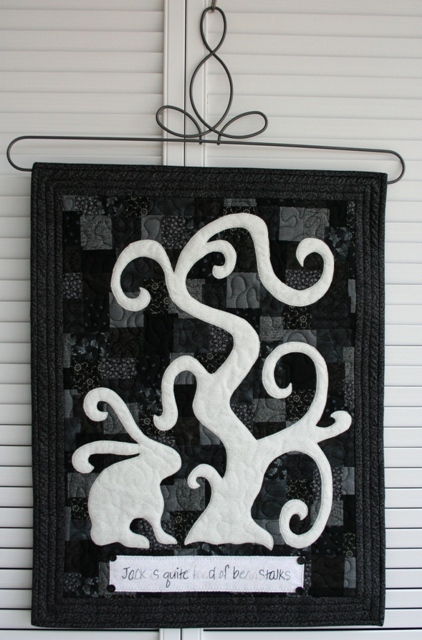 Jack and his beanstalk are appliqued in wool against a black and grey background. This piece measures 19 1/2" x 25" and includes the decorative metal hanger. This piece is original and one of a kind. Jack and his beanstalk are available for purchase in my Shop. White Rabbit! White Rabbit!